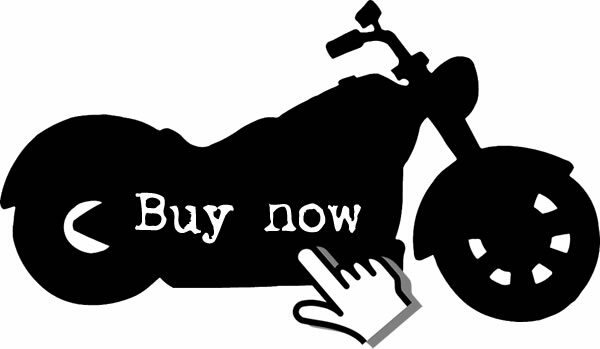 Your motorcycle needs to be durable and reliable in order for it to serve you for a long time. All parts should perform excellently to make sure that your life and the lives of the people who you will meet on the road will be safe. Regardless of how you use your motorcycle, be it as a racing vehicle or used for everyday transportation, it is highly important that all parts are of good condition. Perhaps the most important part of the motorcycle is the brake. Every tiny little thing on the brakes should be working as it should because if not, lives may be in jeopardy. And this is where the argument of whether to use steel brake lines or rubber brake lines comes in place. Most experts claim that while rubber brake lines are less expensive, the stainless steel variant is a must. Its component is better. Stainless steel brake lines have Teflon inner hose which allows passage of brake fluid. On the other hand, the rubber hoses’ ends are stopped with fasteners which also stop the flow of the fluid. Stainless steel brake lines not easily succumb to ‘wear and tear’. Rubber lines easily deteriorate, unlike stainless steel lines because they do not fade from heat build-up. They are corrosion resistant thus you save some money on repair or replacement. Stainless steel brake lines do not swell. The rubber variant expands when pressure is applied, which is often because brakes are always used. Because of this, the rubber hose extends and stretch over time that they can no longer perform the way it used to. Stainless steel brake lines do not have this problem which contributes to its longevity. They also feel more consistent. Because stainless steel brake lines do not swell, you will not feel that the lever is soft while you’re using it. Some say they even look better. The color of stainless looks more expensive than the rubber ones, and they come in multiple colors so you can match your bike or style if you’d like. Having all these benefits does not mean that the stainless steel brake lines are perfect so it does not mean that you will never have to replace it nor you will never have problems with it. In fact, there is a minor drawback from using this type of hose. If you happen to put it close to something soft, then that thing will tear in pieces because the steel shred materials when the vehicle is moving. Getting dirt inside the hose can also be an issue because if the dirt gets in between the steel braid and the Teflon, then it will be prone to abrasion which can destroy the Teflon. There are manufacturers that put plastic coating on the hose though to ensure that no dirt will come in, so this drawback can easily be eliminated by choosing the right type of brake line. 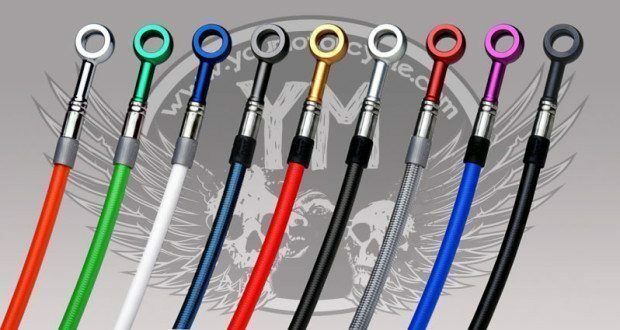 Stainless steel brake lines are something you should consider if you want to invest in your motorcycle. It lasts longer and it is safer than its rubber counterpart. As long as you buy the right brand and install it properly, then the drawbacks can be prevented.